It seems like red carpet Q&As have been teetering on misogynistic this awards season. I makes me wonder why men are often asked questions about their careers, while women are asked about their gowns, their love lives, and their children. There are generally two ways these questions are met by the female celebrities who have to answer them: A total shut down, a la Taylor Swift, when asked if she'd be going home from the Grammys with any men, and then there are women who are undoubtedly exhausted by these types of questions but nod and smile along just to get it over with. 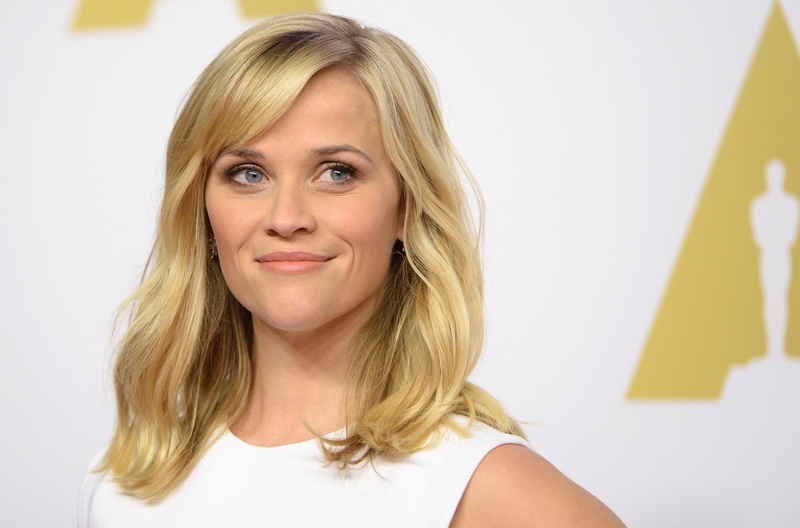 But I think by now, these celebrities should be done with nodding and smiling and demand the same kind of respect on the red carpet that men are often handed, and Sunday, Reese Witherspoon took to Instagram to promote #AskHerMore ahead of Oscar night and all of the facepalm-worthy interviews that are inevitably ahead of us. I couldn't agree with this movement more. I'd be lying if I said I wasn't looking forward to seeing what everyone's wearing at all the big awards shows (even the men), but I'm also interested to hear these successful, smart women talk about their careers. These two topics aren't mutually exclusive. It's 2015, and it's time for a change. By not asking women these questions and focusing only on the superficial, we all miss out. Frankly, there are a lot of questions that have answers far more fascinating than how long it took Angelina Jolie to get ready, and here are some of them. Oscars red carpet reporters, I hope you're listening. Oscar nominees' predictions are especially interesting to me, because few people know and understand the entertainment industry the way people do who are actually in it. Their insight is pretty valuable. What was your favorite part of filming the movie? There's a lot that goes on in the production of the movie we see on screen in front of us, and chances are, we'll never know the stories from behind the scenes if we don't ask — whether they're funny, sad, or poignant. What has been your biggest career challenge so far? Was it taking on a role she didn't think she was ready for? Was it working on a set far away from friends and family? Was it her directorial debut? Was it not strangling red carpet reporters who refused to ask her any questions that weren't about her dress, shoes, and jewelry? What's your goal for this year? As all career-minded people do, these women have dreams and milestones they'd like to hit this year, and I want to know what they are so I can cheer them on. Does she want to write a book? Does she want to start working on TV to see if she prefers it to movies? I want to know everything. Have you ever considered branching out into directing or screenwriting? There are nowhere near enough female directors or screenwriters in Hollywood, and the ones that do exist have to fight a lot harder to be recognized and taken seriously than their male counterparts. Maybe if we empower them on the red carpet, they'll be encouraged to go for these kind of challenges that they might've shied away from in the past. Who is your favorite director to work with and why? Was it someone who inspired you? Someone who scared the crap out of you so you worked twice as hard to give your best performance? What made you take this role? Maybe it was because she related to the character. Maybe it was because she didn't relate at all. There's always a process and always a reason, and more often enough, that process is really interesting. What's the stupidest question you've ever been asked on the red carpet? Don't worry — the answer to this one will never come close to Rashida Jones being asked about her tan.